1) Mix a glaze of water and powdered sugar. 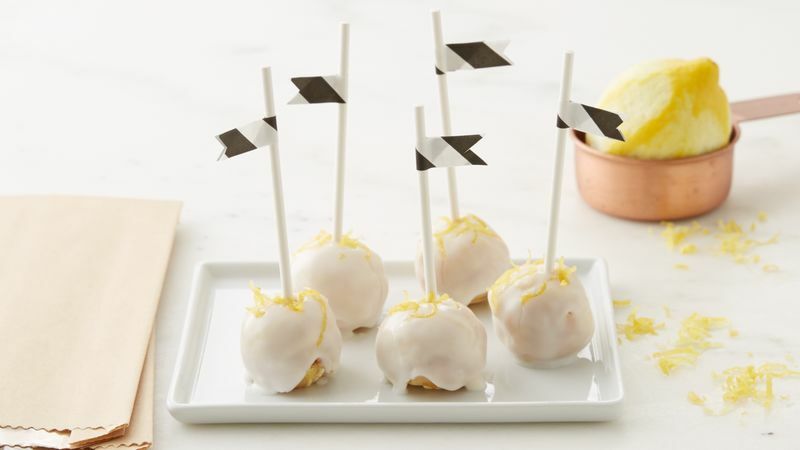 2) Roll that tangy lemon bar into a uniform ball. 3) Dip the ball into the glaze. 4) Sprinkle your pop with lemon zest. 5) Pop it on the stick and enjoy.